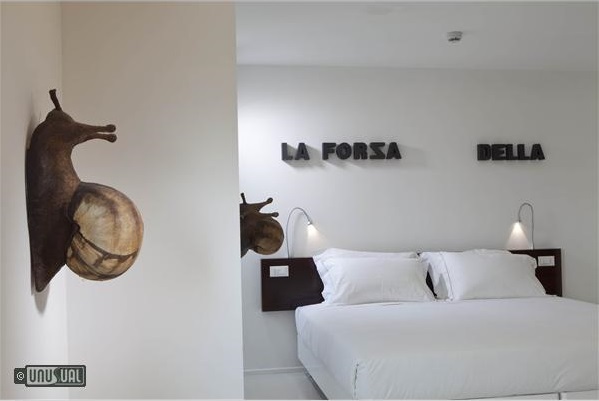 This design-led hotel pays tribute to Jean Henri Dunant, founder of the Red Cross, the volunteer humanitarian organization conceived in Castiglione delle Stiviere. 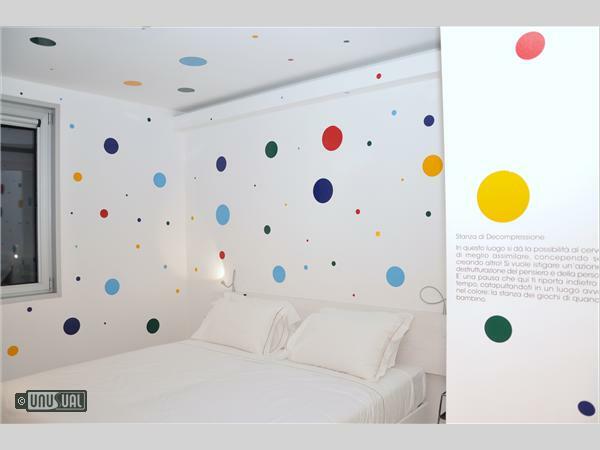 Courageously decorated rooms highlight three aspects of the life of Dunant; Youth, Struggling economic enterprises, and finally, the Humanitarian legacy. This isn’t some stuffy museum – it positively exudes a fresh vibrant edge. Of particular interest perhaps, is the design trail, showcasing designer chairs in different rooms and public areas. 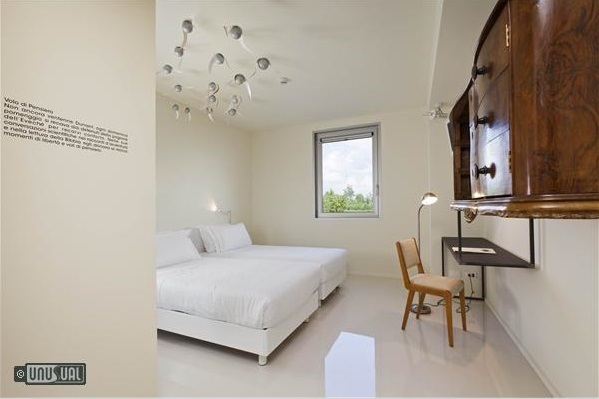 Owner Eugenio Gallina entrusted designer Ermanno Preti to create a hotel that is part museum/part installation. 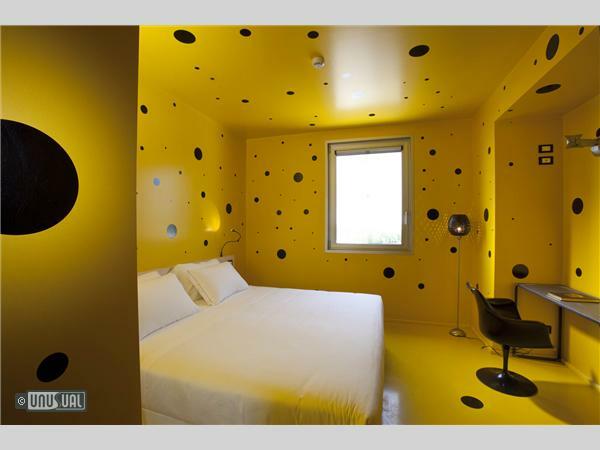 Located in the countryside between Mantova, Verona and Lake Garda, the concept is a hotel with zero stars - a place that cannot be defined in the traditional way but seeks judgement by the guests themselves. Each guest room is rich in symbolism. A giant serpent is kept at bay in the courtyard; breakfast is taken at a communal spiral table, inducing guest interaction. The furnishings were deliberately upturned, sawed in half and de-conceptualized to further enhance the dreamlike atmosphere. The hotel has collected a series of globally recognised designer chairs and seats. Do not be surprised if you find a Saariner or Eams chair in your room. 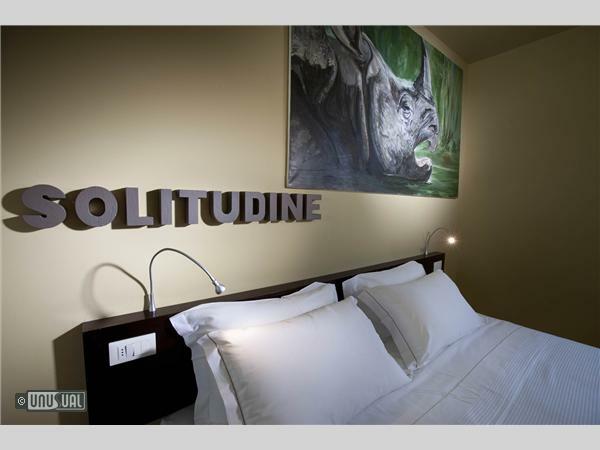 These pieces, which are all original, are part of an educational route, and the hotel wants guests to embark on it. Take a seat, be enriched and moved by great design. Nearby Verona provides fantastic architecture and fascinating boutique shopping, while Lake Garda provides cafes and lakeside restaurants as well as water bourne amusement - boat rides etc. Venice is an easy train ride away - the perfect way to visit. My room - Flash of light - was striking and wonderful; the bed magnificent, huge and highly comfortable like the room, which was also big and clean. Sleeping there was something great, it was like feeling - La Primavera - by Vivaldi inside. The staff was kind, helpful and always at your complete disposal to give you what you need. But how many other hotels do this? All in all, you have to try this hotel at least once! Stayed for a week in September with our two kids, had a conveniently adjoining room. 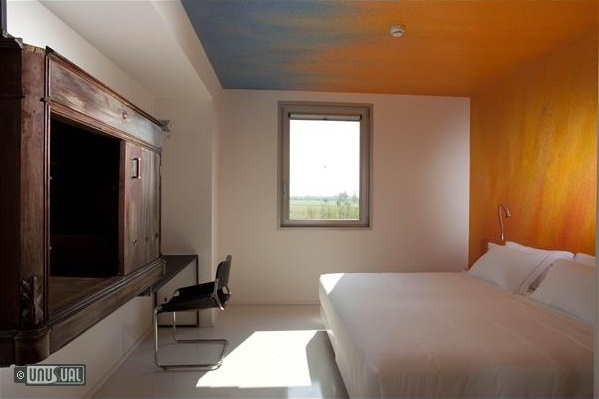 a great base near Lake Garda and with easy access to the motorway to go places! Nice quiet area, simple outside design but highly functional. 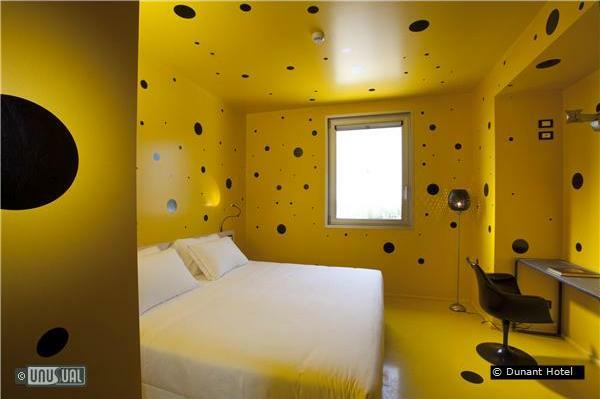 Rooms were SPOTLESS, with their pleasantly weird design as the main highlight! 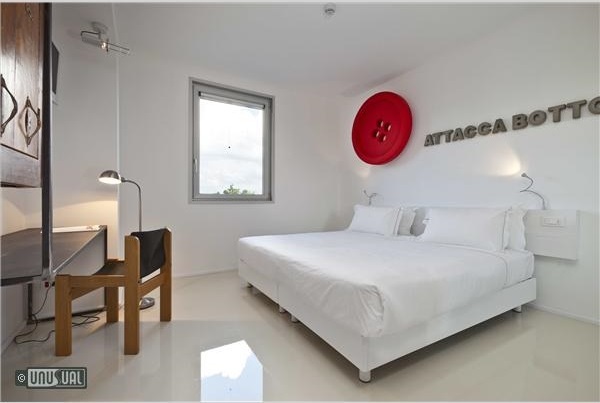 In two words, it is a UNIQUE EXPERIENCE to stay here and the staff were very friendly.